Help save the Earth with CAPTAIN PLANET AND THE PLANETEERS. You will have to use the powers of earth, wind, water, fire, and heart to get through a variety of obstacles. When the going is really tough, combine the powers to form Captain Planet, the ecologically sound superhero. 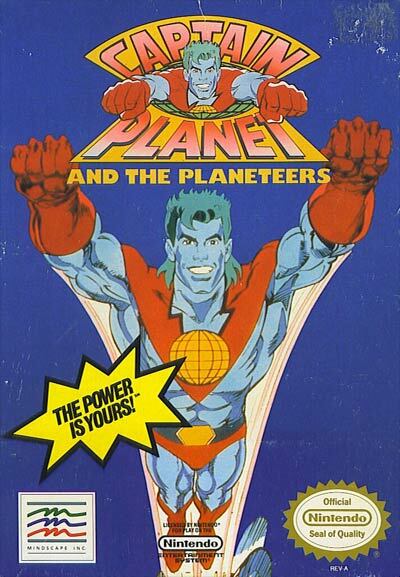 Based on the TV series; use five unique powers; combine powers to form Captain Planet; multiple levels; save the planet from environmental disaster.